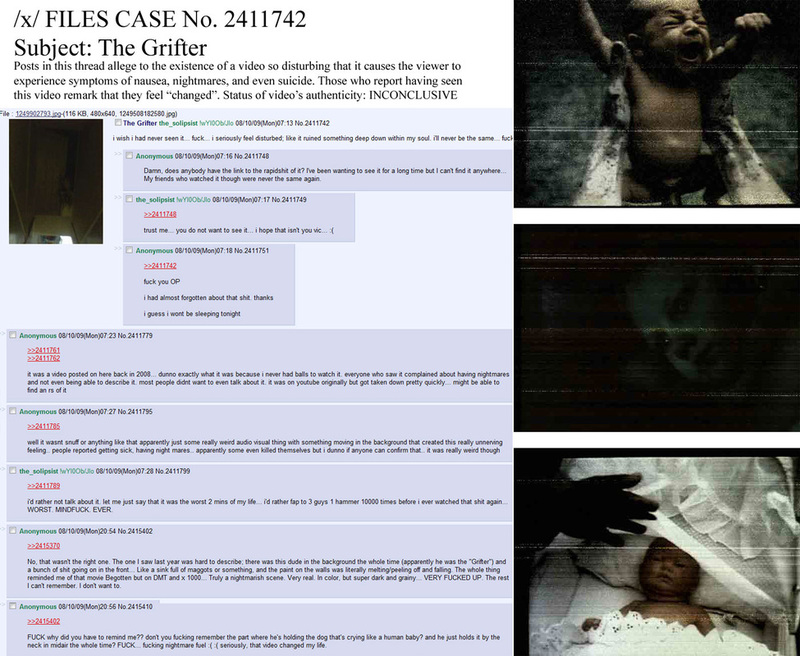 The Grifter is an alleged video that was first mentioned somewhere on /x/'s imageboard.Watching it is said to be a soul-rending experience, far more horrible than anything one could imagine. "This child (now a young man) is still alive and lives in a shelter at a local whose name was not given. He never spoke, and still is katatonie [sic]."